Providing the best learning environment for the students in your school district or attending your college isn’t just a goal, it’s a necessity. We understand the demanding construction or remodel schedules required by most projects at educational facilities. We will offer you our design and plan services with the personnel to get your students back in the classroom quickly. Trust B&B Electric to power the education in your community. Powering educational buildings can come with some challenges because these projects come with a variety of needs; from classrooms to gyms, and offices to stages and auditoriums. Our design and build-out process helps us plan and facilitate this type of project efficiently and effectively. Auditoriums and stage lighting requires a variety of fixed and mobile elements. B&B can advise and install on the best types of wiring and lighting to use for these appliances. Many science classrooms contain labs that require different energy sources, with hoods and venting. We enjoy planning and executing a learning space for your children. B&B Electric can wire your media centers with fiber optic cable for voice and data. Give your students the best learning resources with the most high tech systems. 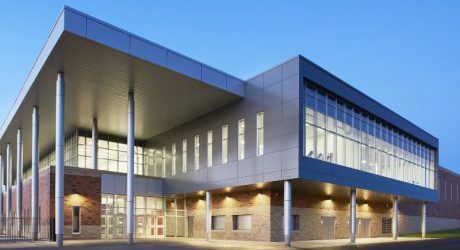 The Stillwater School District was looking to create a state-of-the-art multi-purpose facility that included the best safety features and unparalleled technology. 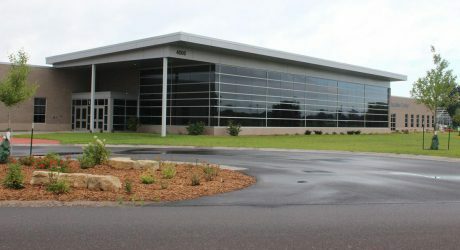 CVTC’s Energy Education Center isn’t just a building containing classrooms and labs, together with the surrounding grounds, it was designed to be a learning laboratory. See our recent education projects and see what’s possible for your next project.